Toshiba subsidiary Toshiba America Electronic Components will launch two starter kits geared toward enabling developers to create web-based applications that promote the Internet of Things and rich media. The starter kits, RBTZ5000-2MA-A1 and RBTZ5000-6MA-A1, are based on Toshiba's TZ5000 ApP Lite series of application processors. ApP Lite processors are built to provide high-speed wireless LAN features, such as high-quality video and NAND flash memory, without excessive power demands. Both kits feature processors with a dual-core ARM Cortex-A9 MPCore/ARM NEON CPU with Bluetooth 4.0 connectivity. By introducing the new kits, Toshiba aims to give users the ability to create embedded development environments to promote apps focused on the Internet of Things and streaming media, among other content types. Toshiba has been helping to push the connected device market forward recently. In April, the company launched a new application processor designed for wearable technology. 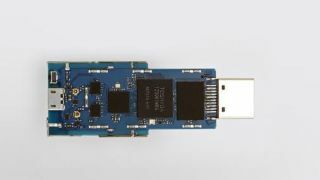 The TZ1001MBG, which is also part of Toshiba's ApP Lite family, is built with a processor, memory, sensor, and wireless communication functions. The newest kits will begin shipping in October of this year.